When Alita wakes up without any memory of who she is, in a future that she does not recognize, she is greeted by Ido, a doctor who understands that behind this abandoned cyborg body, hides a young woman with an extraordinary past. 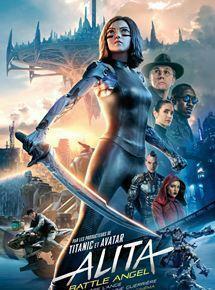 Only when the dangerous and corrupt forces that run the city of Iron City pursue her, does Alita discover the key to her past - she has unique fighting abilities that those in power absolutely want control. If she manages to escape, she could save her friends, her family, and the world she has come to love.